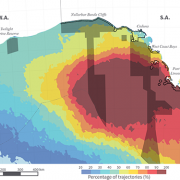 Oil spill modelling for Great Australian Bight now released. 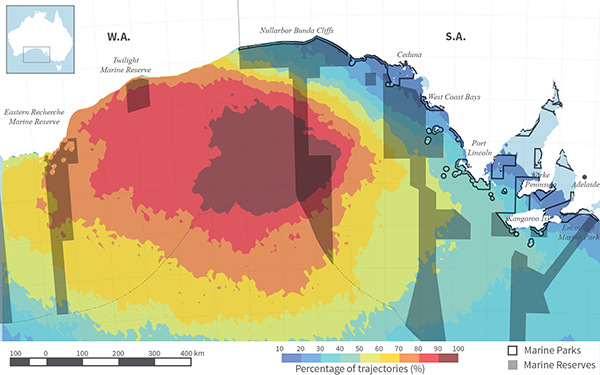 If a blowout and spill were to occur in summer, aside from the direct and severe impact in near water, the oil would very likely impact the shores of Western Australia. Simulations show oil contamination could reach as far as Albany and Denmark. Under these conditions, the model predicts that within four months, an area of roughly 213,000km2 would have an 80% chance of having surface oil thickness above levels likely to trigger the closure of fisheries. 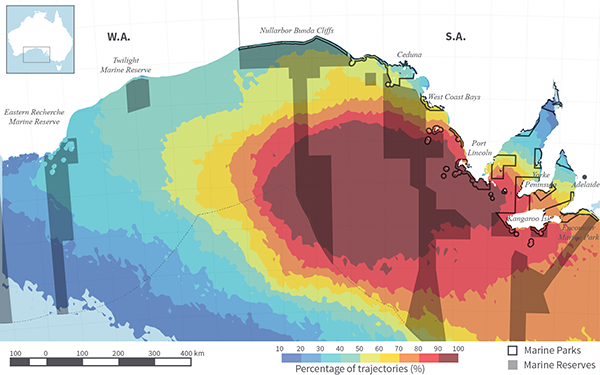 If a blowout and spill were to occur in winter, the oil would very likely impact the Eyre Peninsula, Kangaroo Island, and Spencer Gulf in South Australia, with simulations showing oil could impact much of the Victorian and Tasmanian coastline, right through the Bass Straight towards New Zealand. Under these conditions, the model predicts that within four months, an area of roughly 265,000km2 would have an 80% chance of having surface oil thickness above levels likely to trigger the closure of fisheries. http://www.protectlimestonecoast.org.au/wp-content/uploads/2016/06/SocioEconomicImpact_winter-2A_600.png 375 600 LC Updates http://www.protectlimestonecoast.org.au/wp-content/uploads/2018/02/Logo-1.jpg LC Updates2016-06-15 01:42:202016-06-15 03:05:10Oil spill modelling for Great Australian Bight now released.